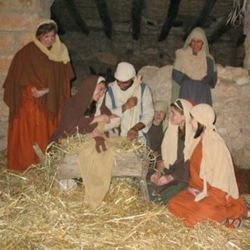 Visitors step into the Bible and experience Nazareth as it was during the time of Jesus and Mary. Nazareth Village is located 500 meters from the original site of Nazareth and is built on an original excavated farm with an ancient wine press, cistern, quarry and terraces. The synagogue, Mikveh, oil press and houses were carefully replicated from discovered ruins and built with the same materials and methods used during the first century. Nazareth Village is a living village with villagers in first-century costumes practicing farming, carpentry, weaving, cooking and other crafts just as it was in Biblical times. Donkeys, goats and sheep roam the hillside under the olive and almond trees. 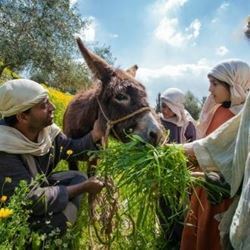 Guided tours and biblical meals allow visitors to experience and interact with the life, times and teaching of Jesus of Nazareth. 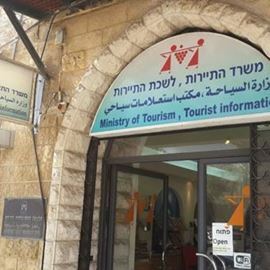 Photographer: Lehava center of Nazareth. From a PikiWiki.